Clair has the experience necessary to integrate building code requirements with design objectives and to communicate code issues in a meaningful format to all stakeholders, whether architects, engineers, facility managers, owners, builders or jurisdictional personnel. Our goal is to assure that a project aligns with the owner’s objectives, conforms to the construction cost and schedule, optimizes occupant flexibility, and achieves safety goals. 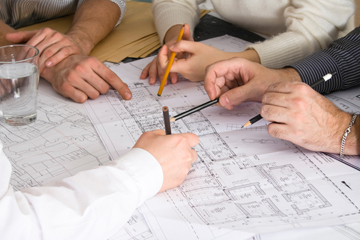 Leverage our expertise to speed the acceptance of construction documents by jurisdictions. Apply performance solutions to building and fire safety issues for acceptance by jurisdictions through the introduction of Alternate Materials and Methods (AM&M) reporting. Delineate code provisions to simplify the presentation process and provide for better communications with the jurisdiction to allow for faster alignment of the construction documents, allowing for quicker approval prior to construction. Cost savings through innovative code equivalencies. Provide rationale for code equivalence to achieve code-intended objective without reducing fire- life- safety. Review the construction documents to assess compliance with locally adopted construction codes. Discuss permitting requirements and provide communication tools for maintaining accountable recordkeeping.